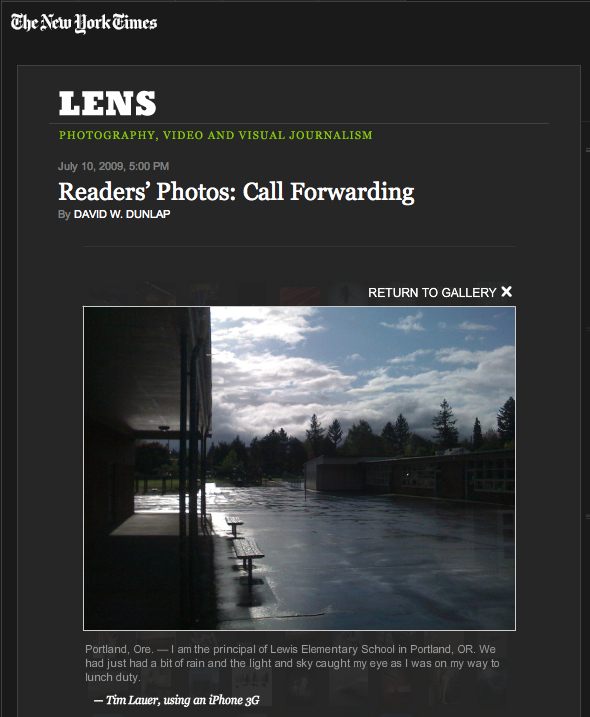 The New York Times' Lens photo blog put out a call for submissions of pictures taken with mobile phones. I went ahead and submitted the one you see above and am happy to say they accepted it and it is part of their gallery. The display interface is some kind of Flash application and it has been pointed out that it is ironic that a gallery of photos taken with mobile phones can not be viewed on most mobile phones.